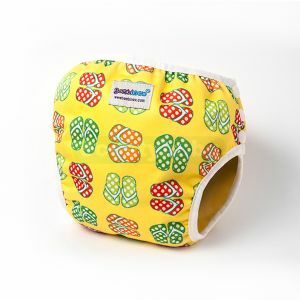 BAMBINEX has also thought of your baby’s comfort on the beach or in the swimming pool by providing swim nappies that “keep the beach or the swimming pool clean”. The swim nappy should be used on its own, without paper liner, booster pad or nappy. It is available in three colours and two sizes: S 5/7 kg and M 7/9 kg.